An excursion takes you to the most dream-like castles in all of Europe-Neuschwanstein Castle-said to have inspired the tales of Walt Disney. And the magic of the day continues as you travel to Oberammergau, an idyllic village known for its once-a-decade performance of the Passion Play, and its typical Bavarian houses painted with scenes from fairytales. 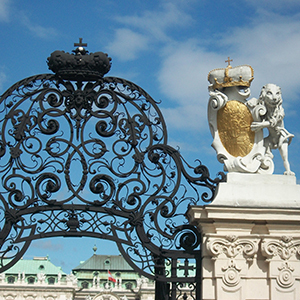 While in Munich, a Local Guide will show you all the famous attractions. Then, travel by motorcoach to Passau, the "City of Three Rivers," and explore its narrow cobblestone streets. Afterward, you can relax with a glass of wine atop the Sky Deck of your ship as you cruise along the Danube River into Austria. 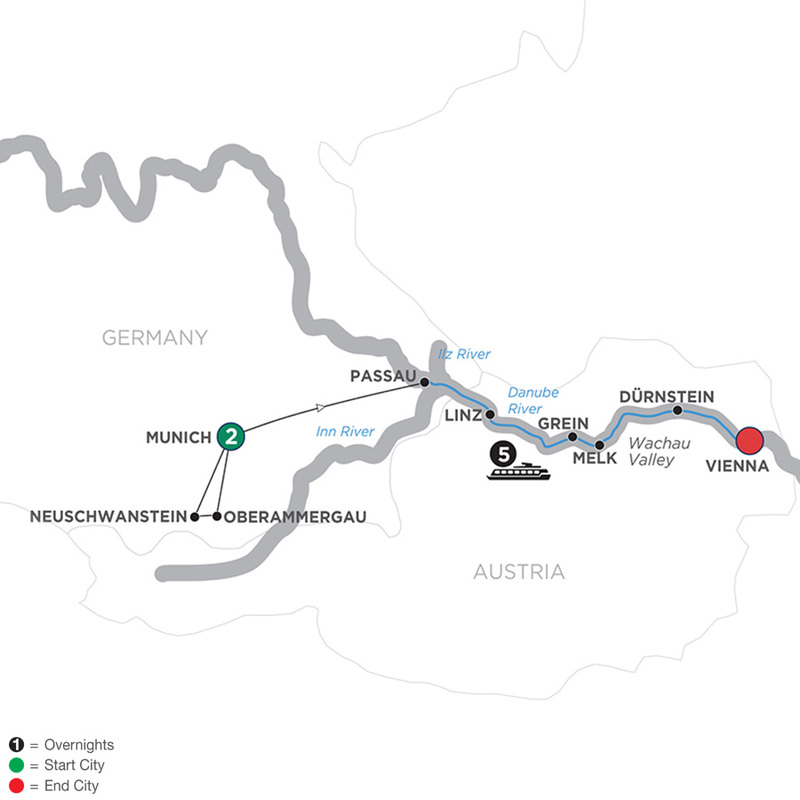 A highlight will be a guided visit to the majestic Benedictine Abbey in Melk, one of Europe’s largest monasteries, which sits high on a bluff overlooking the Danube. In Dürnstein, enjoy a guided walk and see the baroque Stiftskirche, with its luminous blue and white façade. To round out this unforgettable European river cruise, visit Vienna, the "City of Music"-known to have inspired the creative genius of Mozart, Beethoven, and Strauss. After guided sightseeing, stroll along the pedestrian walkway of Kärntnerstrasse, or try a piece of Apfelstrudel in an elegant Viennese café as a perfect ending to your river cruise adventure.